Galatea is taking action against a manufacturer in Surat, India for its deliberate under-reporting of rough stone weights and underpayment of amounts owed to Galatea for the scanning of the rough stones. "While auditing the manufacturer’s usage of its Galaxy system, Galatea discerned significant discrepancies over an extended period between the weights of rough stones processed and those actually reported to Galatea. This under-reporting resulted in an underpayment of the amounts owed to Galatea for the use of the Galaxy system. After an internal in-depth analysis, Galatea determined that such under-reporting was clearly a deliberate act to misrepresent the stone weights processed and the resultant sums payable to Galatea. Galatea also has incontrovertible evidence to demonstrate that the under-reporting was done through the illegal manipulation of the Galaxy software. "Appropriately, Galatea summarily locked out the manufacturer from the use of its Galaxy system. 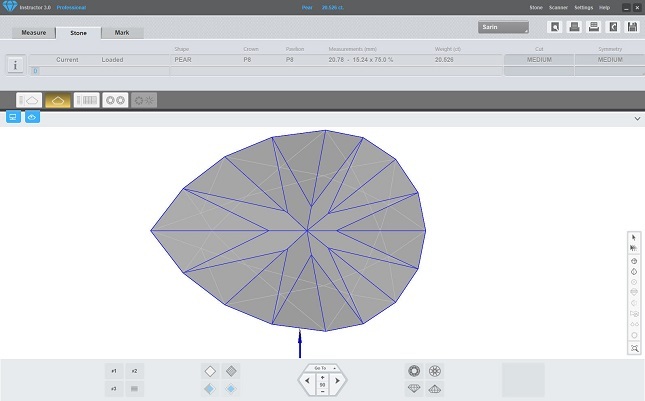 It should be noted that even though the illicit software manipulation was temporarily successful in submitting the manipulated values of the weights processed, Galatea’s supervisory and billing software was able to identify the fraud and track same, and we possess irrefutable proof of the software hack and exhaustive data pertaining to the stones illicitly under-reported. "When confronted by Galatea, the manufacturer’s proprietor claimed that a senior manager had been responsible for the software manipulation, which led to the fraud. Galatea intends to initiate appropriate legal action against said manufacturer and its owners, officers, employees, etc. who were involved in such unlawful and illegal activities, seeking compensation for the damages caused, and will take additional actions in the appropriate Indian and international diamond industry and trade centers to expose these fraudulent activities. Further details, including the manufacturer’s identity will be made public after the filing of the legal actions in a few weeks’ time. David Block, Chief Executive Officer of Sarine Group, said, “The Sarine Group is taking proactive and aggressive actions aimed at protecting our intellectual property rights, including against manufacturers, who are engaged in the use of infringing products and services or any other fraudulent use of our technologies. Wrongful use of any Galatea or other Sarine Group products of any type will not be tolerated," Sarine concluded.